Take the Stress Out of Learning CPR! We are licensed and certified medical education specialists based in Eldersburg, Maryland – providing classes and other services to individuals, groups and corporate clients. 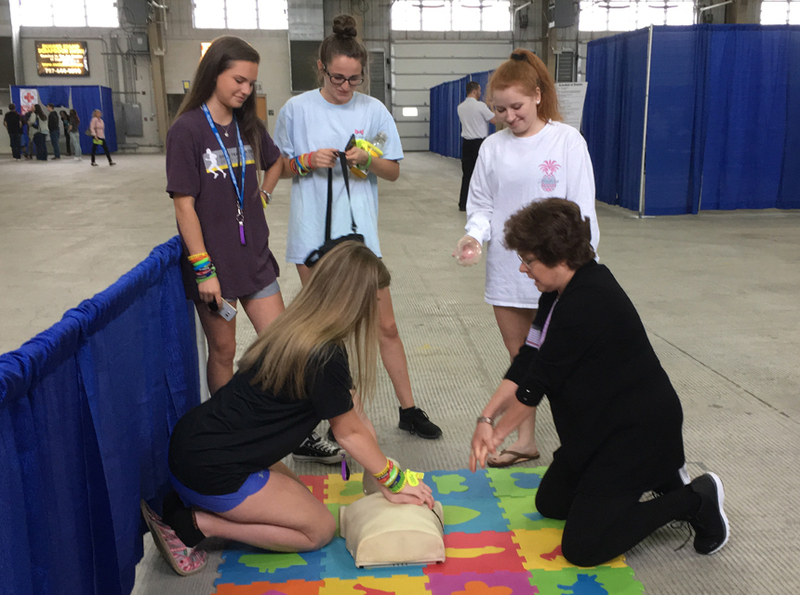 Owner Lynn Eglseder, RRT (Registered Respiratory Therapist), American Heart Association CPR Instructor, has 40 years of experience in her field. She has a passion for helping others. EXCITING NEWS TO SHARE – SPRING 2019! With 40 years in the Respiratory Therapy field and just completing my pulmonary rehab credit, I would like the opportunity to help you. If you or your loved one has been diagnosed with COPD, Asthma, Pulmonary Fibrosis, Pulmonary Hypertension, Cystic Fibrosis, or any other Pulmonary disease I would like to help you and your family members navigate your new life. Let me help with education, nutrition, light exercises, breathing exercises, and most importantly encouragement. To speak with Lynn today about setting up your next class or medical education event, please call her cell at (410) 292-3122, or Send a Message right now!